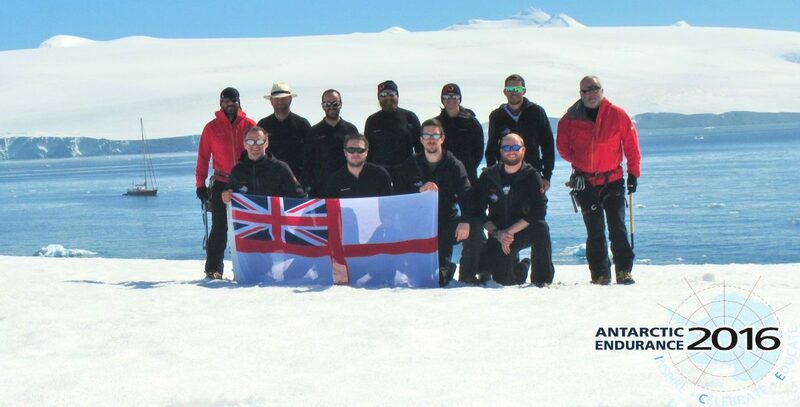 The Antarctic Endurance team are enormously grateful for the invaluable assistance of all the Sponsors who have helped turn this concept into a reality. Sir Donald Gosling and the Royal Navy & Royal Marines Charitable Trust were early supporters with their significant donations allowing the team to push ahead with planning and agree to take the yacht on Charter. Next To join the team were Thomas Mercer. The ships chronometer carried by the original Shackleton expedition was built by Thomas Mercer and they’ve done us proud by manufacturing a fabulous bespoke ships timepiece for this expedition which we feel enormously proud to be able to carry down to Antarctica with us. With finances tight and training packages draining resources ‘Plane foods’ stepped forward to provide some vital support at a critical stage with Stuart Guinea, their CEO and owner instantly recognising the value of the personal development work and associated research. House of Fraser ‘s chairman Frank Slevin was another to see the potential in the AE research programme into individual Grit, team optimisation and leadership. His personal donation and the in kind support of House of Fraser were hugely important. We were also very pleased to have the influential defence contractor Lockheed Martin on board early with an important financial contribution. Pussers Rum, a long term supporter of the Royal Navy, provided both significant financial support and some rather more practical assistance in the form of several bottles of Pussers original admiralty Rum. On the equipment side the expedition would have been much poorer without the support of a number of influential kit suppliers. Mammut stepped up as our mountain kit provider with a range of excellent lightweight clothing and equipment perfectly suited to the challenges of the mountains of South Georgia. Whilst on the mountains the team will be sustained by a new range of dehydrated rations provided by REAL Foods and SOS’s technically advanced energy drinks. Reliable communications between the shore party and the yacht will be essential and leading communications firm NSSL have been very supportive, providing all our satellite communications equipment and airtime. On the maritime side Musto’s range of robust sailing clothing offers the ideal foil to the demanding conditions of the southern oceans, whilst the man-over-board AIS Transmitters provided by Weatherdock and their UK supplier Pinpoint electronics, substantially improve safety at sea. Finally the team have been admirably kitted out with ‘off-duty’ wear with House of Fraser’s smart Howick range, The Shackleton company’s luxurious real wool Shackleton jumpers and Antarctic Tartan ties from the Antarctic Heritage Trust.